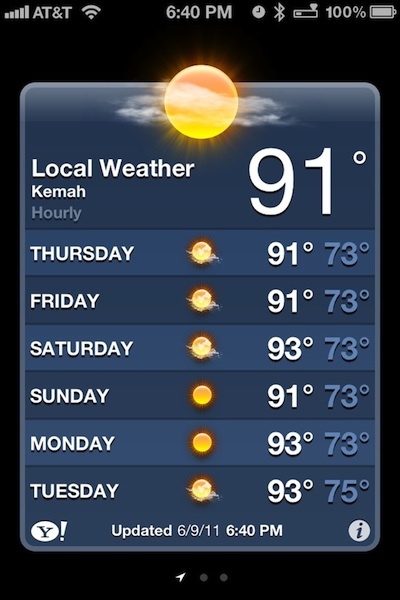 "Apple's new iOS 5 Weather app now delivers the local weather for your current location by default. Therefore you'll always have a "here you are" weather report each time you open the app." I am always on the lookout for good apps, but I usually end up going back to the apps that Apple includes on the iPhone, and the weather app is no different. I have found that I just need some simple information and it usually is provided by what Apple offers. But it is nice they are giving the weather app a few updates, such as location based weather. How about you, do you use the iOS weather app now or have you found some other wonderful weather app to use?